Here’s a little pre-Christmas treat! Sperry Top-Sider have brought their Angelfish campus style flats – this range is HUGE in the US – to the UK, available exclusively from Office. I can’t wait to get my hands on a pair. 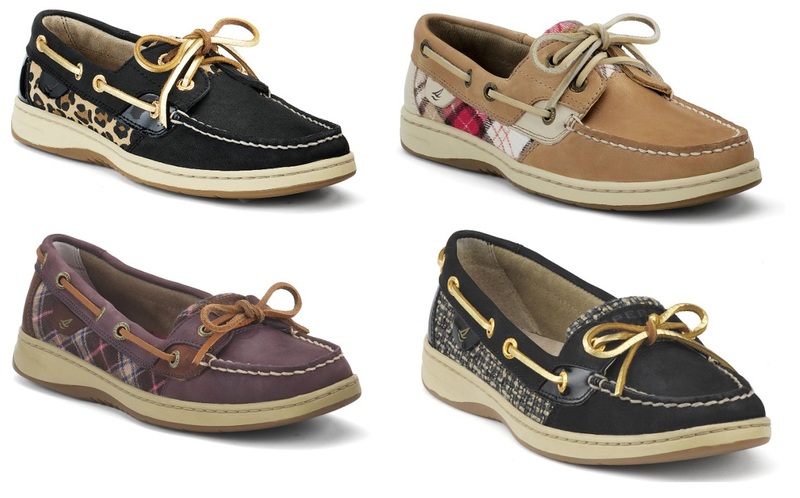 I have some Sperrys already and can safely say that they’re some of the comfiest shoes on the planet! While I love my heels and wedges and platforms and kittens, a girl always needs some comfortable but stylish flats for running out and about, and the Angelfish range is perfect for those types of days. I love the light brown and tartan pair – I could see Miranda Kerr wearing those with blue skinny jeans and a loose blouse. I found a navy pair with glitter on the sides! That will be my first day after Christmas purchase!